Mackerel and stilton salad | Jo's food bites. 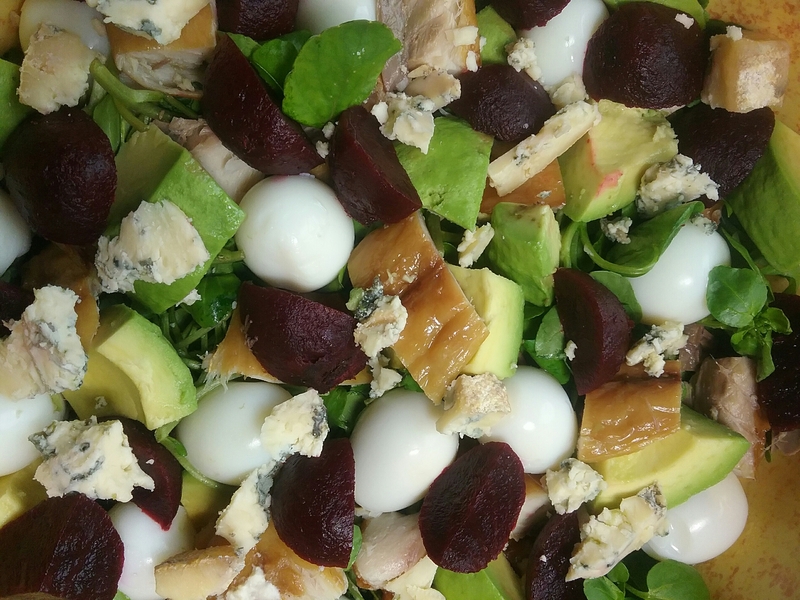 Delicous mix of flavours: Smoked mackerel, quail eggs, beetroot, avocado, watercress and rocket covered in crumbled stilton. A really hearty and filling salad. What a interesting combination wit the mackerel and cheese, such a luxurious salad!